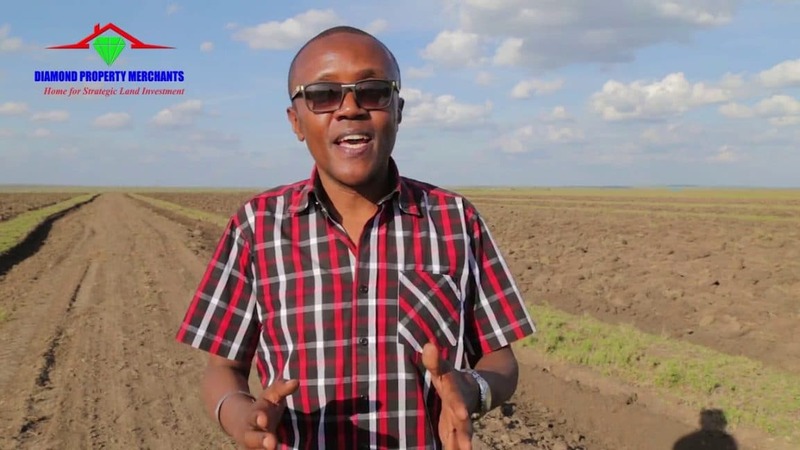 Investors are counting their losses after a real estate agency with close links to Classic 105’s Maina Kageni duped them. Diamond Property Merchants are on the spot over their Bethany Phase 3 project in a vast piece of land in Kajiado county. The project owners required investors to purchase two greenhouses going at Sh600,000 and an eighth of an acre at Sh450,000. They were also required to assist in building the greenhouses at a cost of Sh290,000. These were some of the conditions set before reaping Sh200,000 benefits every single year. But Kahawa Tungu understands that the investors are yet to get anything in return. 500 would be farmers are reportedly crying foul as Diamond Property Merchants is involved in a tug of war with the supplier, Nguzo International. The two parties apparently cannot agree on who should pay the investors after it was found that the greenhouses were non-operational. They were damaged but by natural disasters; dried boreholes, floods, which are not covered by insurance. In this case, the insurer is Jubilee Insurance. It is however unlikely that the investors will get their money back. Nguzo International on its part blames the project owner for going back n the contract that clearly states that they are to provide security for the project. It is said that a section of the project was destroyed when locals invaded the property. On the other hand, Diamond Merchants believes that the supplier should pay the investors even as the General Manager Edwin Khiranga admits to there being challenges. Khiranga does however explain that payments of between Sh49 million and 50 million have been made since the project began. “We had challenges in the Phase 3 because of the huge demand and positive reaction by the market, but we invested money including buying adjacent plots that had boreholes to shore up our water supplies,” he said. The investors, Kahawa Tungu has also learnt are yet to receive their title deeds. “We are disappointed that although were promised better deal to make some good money out of the project, it has become an embarrassment and disbelieve. The project has brought financial tribulations because some of us took loans to join it yet there is nothing to show for it”, an investor who sought anonymity is quoted by Top Farmer. The battle lines have now been drawn as the two parties have opted to take the legal route. A case has been filed with the commercial court. This was after a meeting with the investors proved futile as Nguzo International could not meet their financial obligations. In 2017, Kahawa Tungu reported a case where Nguzo International was accused by investors of withholding pay even after harvesting the produce. Sources privy to the information said that the company refused to pay its clients their dues even after putting up Sh320,000 per plot. The greenhouses projects were in Matuu and coincidentally, Bethany City phases 1,2 and 3.